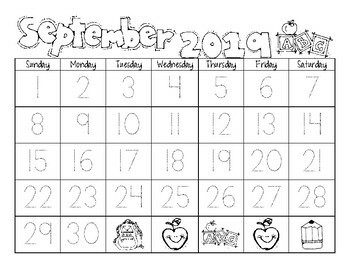 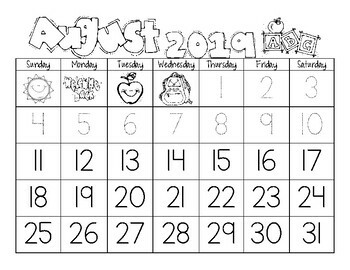 Here’s the perfect calendar for you & your students! 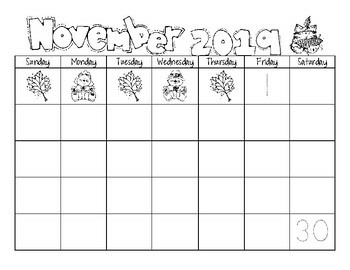 These calendars are great on their own, but look especially impressive when glued on the bottom of folded 12 x 18 construction paper with child’s artwork on the top! 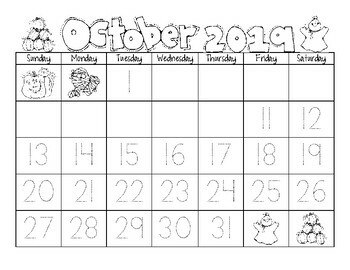 Also included is a fifth version for your binder or craft project that needs no tracing or writing at all!